Quantum and Psyche	Unraveling the participatory knot. 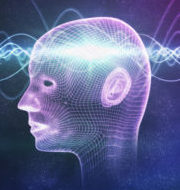 The theoretical understanding of consciousness as a range of possible experiences, both inner and outer, has greatly increased with recent advances in physics and psychology. It seems that the psyche and the quantum are inextricably connected in that both the quantum domain and the outer world, microcosm and macrocosm, appear increasingly as mirror images of one another. Therefore, it is very possible that the human psyche is a particular excitation of an underlying universal psychic (consciousness) quantum field. The human psyche is postulated to have a representation similar to a quantum system, with virtual and physical states corresponding to neural networks of the brain. Are they connected and if so, what is the connection? Whatever the case, we are most in touch with reality when our experiences go beyond our representations of reality towards what C. G. Jung called the psychoid.